Is my hair suitable for extensions? We offer a free 1 hour consultation . We check your hair and ask you lots of questions about your hair routine. The system we use is a damage free system so it’s suitable for most people. Yes, when done correctly it will look 100% natural. We pride ourselves on using the finest quality hair. With the correct positioning of the extensions and a good colour match along with the small discreet locking system your hair extension will look and feel like your natural hair. This will all depend on what look you are trying to achieve An exact price will only be given after a thorough consultation. Can I just have my hair thicker? Yes, Hair Extensions are great for just adding volume. You can achieve a complete new look and style to your hair without adding length . Yes, colour can be added using hair extensions. It is a great way of adding colour without chemicals. Another added benefit is you can change the colour of the high/low lights as often as you want to without having to use bleach . The hair will last 12 months. However you will need to have the hair removed and refitted every 3 months due to your natural hair growth . Will Hair Extensions damage my natural hair? No, the system we use is no heat, no glue, no sewing, so there for no damage as long as they are fitted correctly & you follow the after care plan. Do I need to have a break between sets? No, there is no need to have rest periods between sets as the hair extensions are always applied to the new hair growth. However if you wanted to have a break in between for any reason this is not a problem . 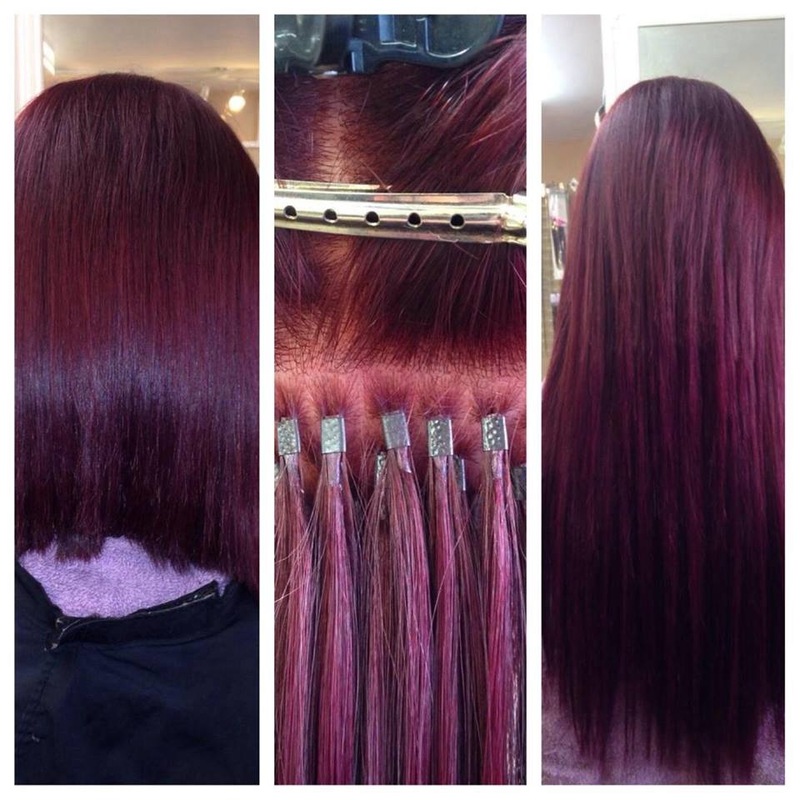 Once you’ve purchased the hair it’s yours so you can have it refitted straight away or leave them out for a while. Absolutely, you can wash your extensions. We provide a list of shampoos and conditioners that are suitable for your extensions . We also have some great tips on keeping the maintenance of washing an drying to a minimum . Yes, no extensions are applied to the hairline so it is safe to tie back or wear up. Will they match my colour? Yes, you will have a 100% guaranteed colour match. The colour match process is an important part of your consultation . It’s important to match the colour in natural daylight for the perfect match. I have been quoted £180 for a full head. Why are you’re more expensive? The simply answer to this is the quality of the hair. Remember technicians do not work for free so if you are paying £180 for the hair and fitting, ask yourself how much has the hair really cost? Our hair looks gorgeous and natural for 12 months, however cheaper will start to look matted and unnatural after 6 weeks. The cheaper hair goes through a harsh chemical process to achieve the desired colour all of this has a huge impact on the hair extensions. We only use Remy AAAAA graded hair. It’s a beautiful blend of Russian and Mongolian it’s incredibly strong and is the same thickness root to tip so it doesn’t look thin at the ends. What’s the difference between angels locks hair system in comparison to other leading brands? I have worked with many different types of hair extensions including the big name brands ….. I pride myself on using only the finest quality hair ….. Angels locks hair has last longer than any other brand I have fitted. The tips are a unique Italian keratin formula created by the owner of angels locks. The bonds do not break down and Matt to your hair like the other tiny tip systems on the market. They also much cheaper to buy as when you purchase the bigger brands you are really just paying for the name. If you think about shoes for example a pair of designer shoes may cost you £500 you might find the same shoes by another designer for £100 they are the same shoes put you pay the extra £400 for the name . Angels locks are not only in my opinion the best hair extensions available to date but they are also the best value for money as well. 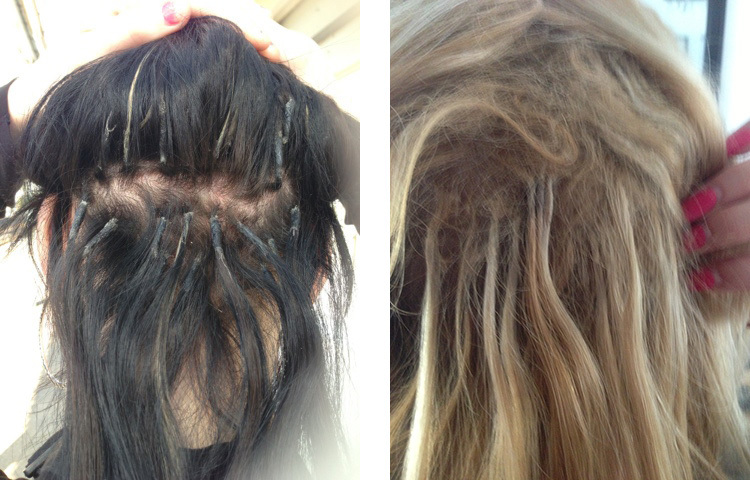 You should never be in any pain or discomfort associated with the hair extensions. If you experience any pain or discomfort you should contact your technician straight away. Are there any issues with swimming and hair extensions? Yes you can go swimming in a pool or hot tub. Put a little bit of spray in conditioner on before and after you are done swimming . Then wash and condition on the evening. The key to going on holiday when wearing extensions is to keep them tied back in the water and to keep them well conditioned so they do not dry out. Can I style my hair using heat? Yes! You can style, brush, blow dry, straighten and curl your extensions is the exact same way you would your own hair. Will I experience any shedding? Yes it’s normal to experience shedding. You naturally shed 80-100 hairs a day . This natural shedding will still occur when you wear extensions. The result will be that when you shed some of the extension will fall out . This is nothing to worry about it’s completely natural . You can simply hold on to the hair and we will put it back in with your refit or we charge £1 a stand to put them back in if you want them back in before your refit. You choose whether you would like Russian Remy or Indian Remy extensions (during the consultation you will get to look and feel the difference between the two different types of hair). I will also talk you through the difference between the two different types of hair. We can then discuss whether you require half head, full head or super full head. I will apply a few sample locks to your hair, so you are able to spend a few days feeling the locks in your hair and get use to them before your fitting. I will then colour match your hair to the hair extensions. You will be given a list of products and hair brushes that are best suited to use on the extensions and we will also talk you through how to wash and dry the hair. We understand that not everyone is able to attend a week day appointment, so to make your life easier we offer evening and weekend appointments as well. The actual fitting usual takes between 2-4 hours. 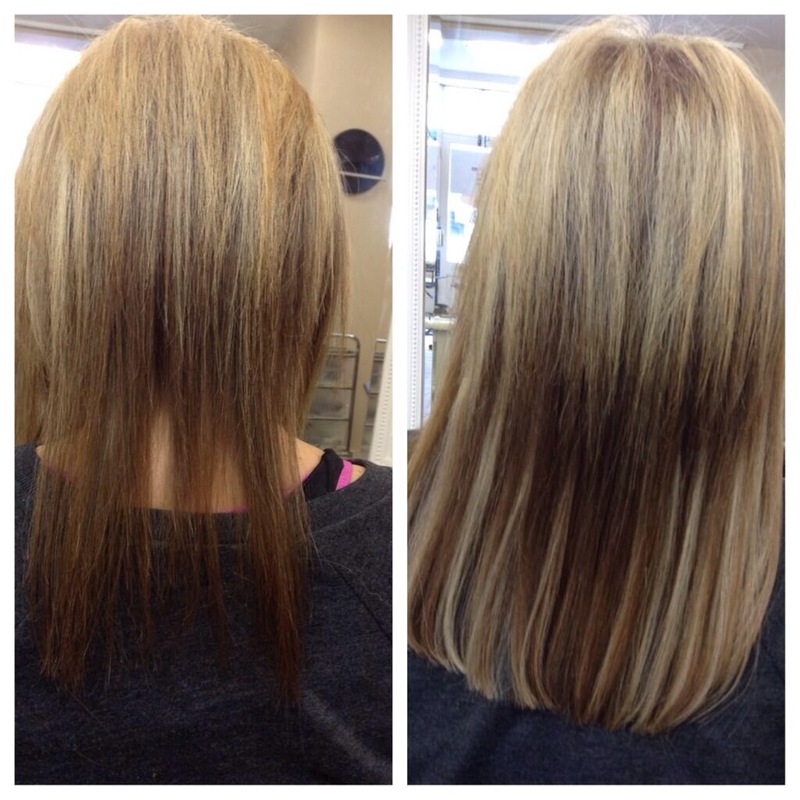 Once the extensions have been fitted, the extensions will be cut and blended to your desired length . We will then curl or straighten your hair for you. We understand that not everyone is comfortable with styling their own hair so we will also show you easy tips and tricks to style the extensions yourself. Before you leave with your fabulous new hair, we will cover the aftercare process with you again and make sure you are fully confident and are completely happy with the service. Voluntary maintenance / refitting at a later stage. You will require maintenance sessions to the hair . We offer a bespoke mini maintenance session 6 weeks after your fitting and a complete refit service every 3 months. The great news is because the hair we supply is amazing quality you won't need to buy new hair . We will simply remove the hair you have in and refit it using new locks. So why choose Glamour Locks? We get 5 star reviews, offer great service and best value for money. Just 25 hair extensions created this look. The client wanted thicker ends. 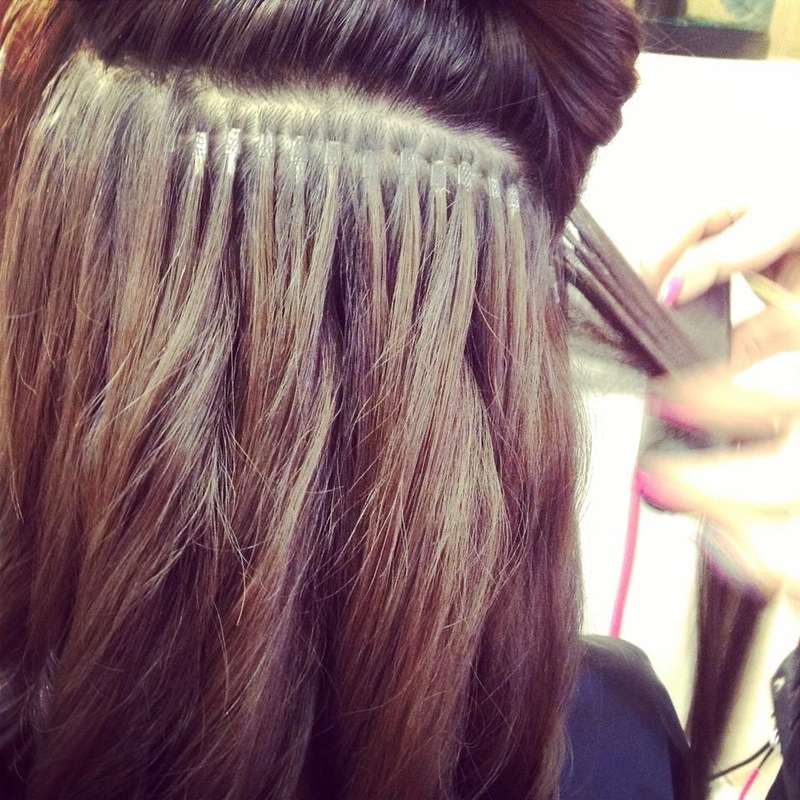 Our tiny micro rings enable a clean, safe and pain free experience. 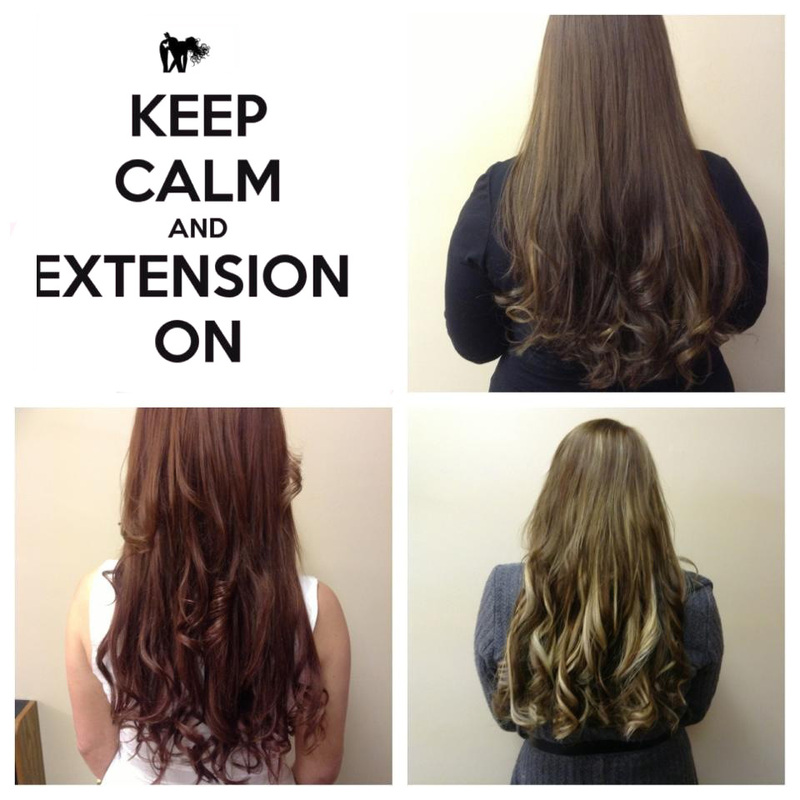 Our hair extensions will last you 12 months with advised refitting and servicing.